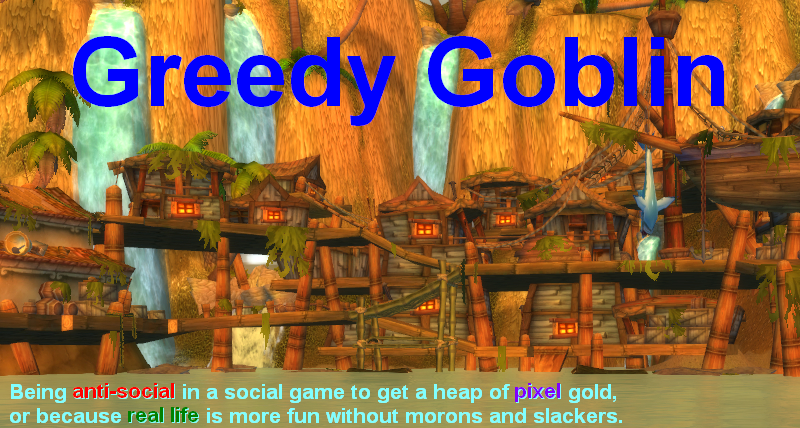 Greedy goblin: Don't play World of Tanks! 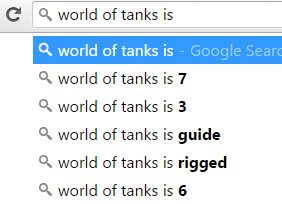 It's been years since I've written "World of tanks is rigged" the first time. It's still my top traffic post and the community opinion of World of Tanks is "somewhat" affected by it (please note that every other search is about the IS tank series and not about what WoT is): If you actually do the search, you see countless posts saying the same: World of Tanks matchmaking is malicious, your actions are balanced out, if you are good, you are pushed down, if you are bad, you are lifted up, without any feedback, ranking or bragging right. There is a "personal rating", but I failed to find any material that would inform what percentage of the playerbase is below rating X. Therefore you can't know if that rating is above or below average. 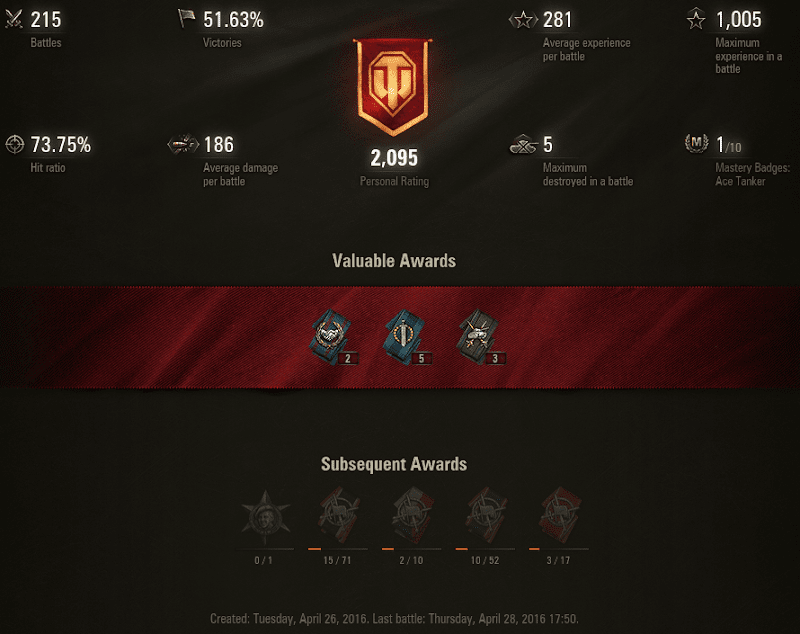 After subtraction of the pre-T3 battles (15 and 18), Adam got 4855 XP per hour and made 101K credits per hour after buying upgrades, repairs, consumables. Bob got 5772 XP per hour and 124K credits per hour, so Bob was rewarded with 23% more XP and 19% more credits for his better performance. Except ... Adam was the better one. The trick is that if you play well, the battles can last long. 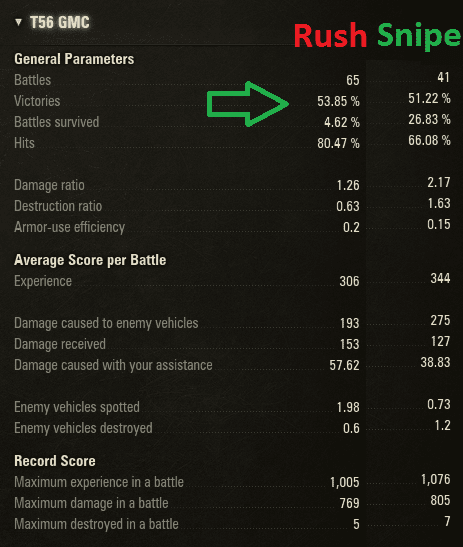 If you rush like a lemming, you die fast and you can queue with other tank. I often had to wait on the garage screen as all three of my tanks were in battles - dead. So I could pull even higher rewards with 4 tanks. On higher tiers the battles are much slower, so the time difference between playing good vs lemming is even worse. The point is that if you purposefully playing bad, you get more rewards than if you play to have a good winrate and damage. This isn't simply "welfare", catchup mechanism for bads. It's outright punishing playing good. Many good players who train tanks for clan battles are purposefully playing dumb, contributing to the mindless nature of the battles. Losing because your team are lemmings or winning against a bunch of idiots isn't fun. Outplaying a worthy enemy would be, but I can count on my fingers when I encountered one. And when I was playing for maximum rewards, I provided no one such challenge. I just ran up to the enemy and exchanged shells like a bot until dead. And with that performance, I got over 50% winrate. I guess most people are rushing and can't aim. 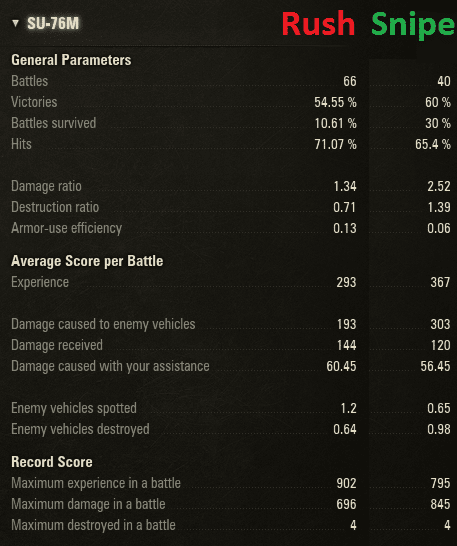 Please check out the individual tank reports: But the really interesting result is with the T56 GMC. When I sniped, I obviously got more damage, more kills, more survivals. Yet, the rusher got better winrate! How? Because of the matchmaker cheat. 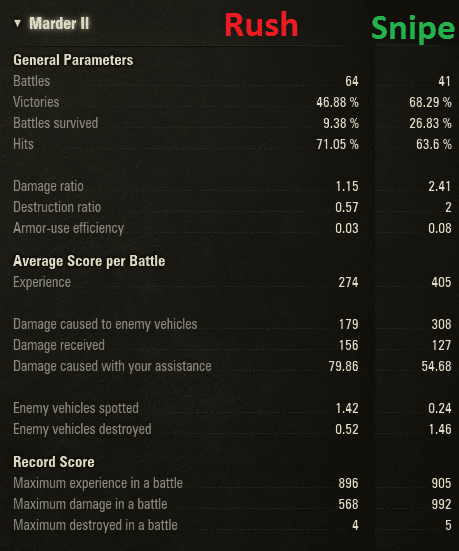 The sniper account was strongly pushed down by the matchmaker and T56 was the weakest of the three tanks, so it was pushed below the rusher, despite having much better stats. Can you imagine more obvious evidence of the cheat? 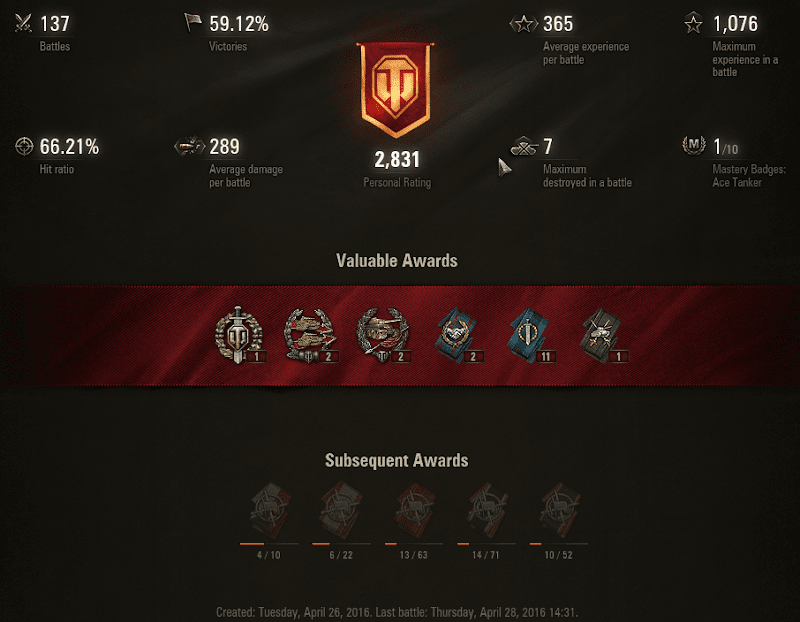 World of Tanks matchmaker isn't simply rigged. It's perverted to the point where playing good is penalized and a simple "run up and autoaim red" bot is rewarded the most. Leveling a tank is a funsucking, frustrating and annoying grind instead of playing a game. Don't touch this abomination with a stick!